Dental care has most certainly improved over the last couple years and many people know more about caring for their own teeth. This doesn’t mean that so many people don’t suffer from things like tooth decay, gingivitis, or injuries that lead them to the dentist. There are so many different types of treatments out there, but today we will be covering all you need to know on dental implants. Some of you might be wondering what they are, essentially they are a replacement tooth root. They give the dentist a strong foundation to put a permanent or removable replacement tooth. They are, of course, made to match the look of your existing teeth. 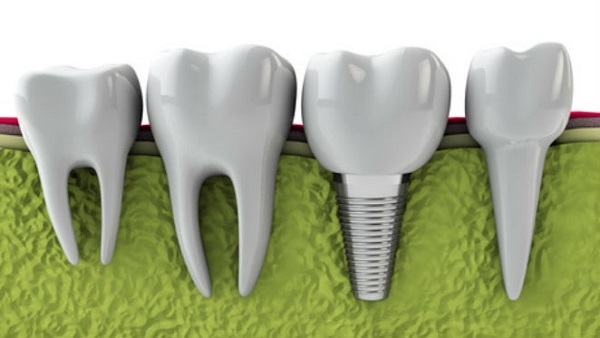 There are many added benefits that come with getting a dental implant some of which include an improved overall appearance of your teeth. People who have trouble talking or speaking will also have improved speech. Removable dentures can be painful to put in and out of your mouth whereas a dental implant will have no discomfort whatsoever. Tooth decay or dentures can also make eating painful and difficult, dental implants are like getting new teeth so it makes eating feel easy again. Not only do they feel great but they look great so you don’t have to feel embarrassed about your teeth which means your self-esteem will also improve. Your oral health will go back to normal because dental implants have no effect on your other teeth. They also last a very long time especially if they are cared for correctly meaning you won’t need to replace them. They are also much more convenient when compared to other dental options like dentures which can be embarrassing and messy. You are probably wondering about the procedure and whether it will hurt or not. Well, the first step is getting a treatment plan ready from your dentist to improve all your teeth. There are a few steps after that with the next being getting a tooth root implant. This is a small post made of titanium that is attached to your jawbone. After it has healed the abutment is attached in place to hold a new tooth, your dentist will take an impression of your teeth to create a new one for you. The replacement tooth or crown is then attached to the abutment. The new tooth or teeth would be created to match the colour of your matching teeth so that they blend in seamlessly. They also will feel and function just like any other of your teeth because they are also attached to your jawbone. For those of you who might be worried that it hurts, there is nothing to be afraid of. There is very little discomfort and you will receive local anesthesia during the procedure. Most patients say that it hurts less than getting a tooth removed, so if you have done that you have something to compare it to. You can easily relieve any soreness after the procedure with over the counter painkillers. The success rate for dental implants is 98%, with the proper care they should also last you a lifetime. Almost everyone can get dental implants and your dentist will be the one to decide whether they are right for you. If your gums are healthy then your dentist should allow it, someone who suffers from diabetes, disease, is going through radiation, or is a heavy smoker may need a new line of treatment depending on their dentist’s orders. 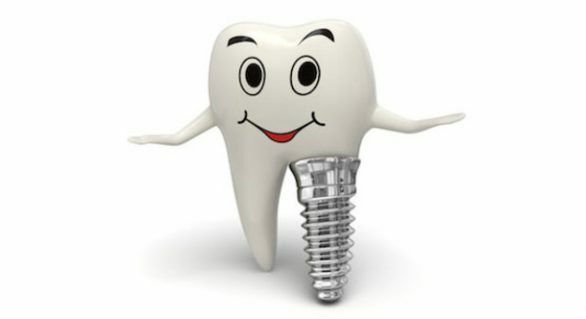 Once dental implants are implanted they should be cared for just as you would your natural teeth. Meaning that you should brush, floss, and rinse them as well as have regular dental check ups.